Branigan Robertson is an attorney who is passionate about helping everyday members of the community fight for their rights in the workplace. Mr. Robertson exclusively represents employees in workplace disputes and focuses his practice on whistleblower, wage & hour, harassment, wrongful termination, and retaliation. 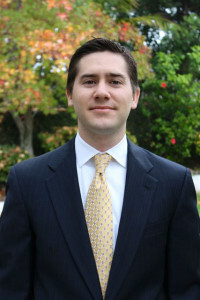 He attended Chapman University School of Law and emphasized his studies on employment law. Mr. Robertson was President of the Employment Law Society. He performed a directed research under Dr. John Hall analyzing the extent to which an employer may restrict an employee with a non-compete agreement and prevent an employee from disclosing trade secrets. Before law school, Mr. Robertson attended the University of the Pacific where he obtained a B.S. in Business Administration from the Eberhardt School of Business. While attending Pacific, Mr. Robertson honed his advocacy skills as a lead debater for the Pacific Speech and Debate Society. Mr. Robertson fell in love with argument during his college years. During his tenure, he won, 1st Place at the Berkeley Season Opener, 2nd Place in the Western States Championship Tournament, and 1st Place at Xi-an International Debate Tournament in China. Mr. Robertson is admitted to practice in courts of the State of California. He is a member of the California Bar. Several years ago Mr. Robertson joined forces with Kring & Chung, a larger law firm in Orange County.